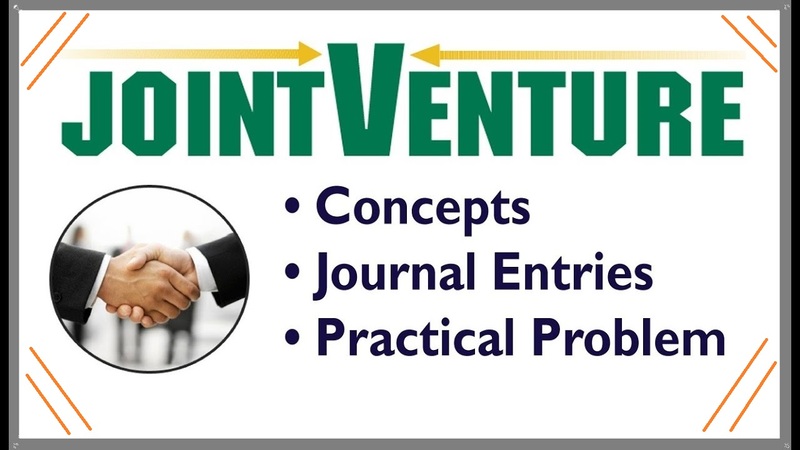 Prepare journal entries and joint venture accounts in the books of parties doing joint venture business. 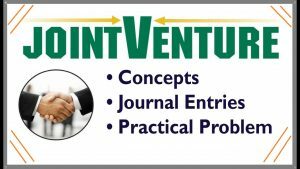 How to solve a joint venture problem. A and B were partners in a joint venture sharing profits and losses in the proportion of four-fifth and one-fifth respectively. A supplies goods to the value of $5,000 and inures expenses amounting to $400. B supplies goods to the value of $4,000 and his expenses amounting to $300. B sells goods on behalf of the joint venture and realizes $12,000. B is entitled to a commission of 5 percent on sales. B settles his accounts by bank draft. Required: Give journal entries and necessary ledger accounts in the books of both the parties. Salim & Sons bought goods of the value of $7,500 and consigned them to Tahir and Co. to be sold to them on a joint venture, profit being divided in 2/3 : 1/3. They also paid $550 for freight, insurance and cartage and drew on Tahir and Co. for $3,000 on account. The bill was discounted by Salim & Sons for $2,900. Tahir and Co. paid $300 for dock dues, storage, rent etc. The sales realised $12,500 and the sales expenses $250 were defrayed by Tahir and Co. The later forwarded a sight draft for the balance due to Salim & Sons after charging their sales commission at 5 percent on the gross proceeds. Required: Write up the accounts in the books of both the parties. No interest need to be brought into account.